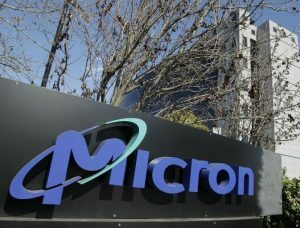 Micron Technology forecasted revenue and profit that was better than had been expected for its ongoing quarter as it has become the benefactor of improved prices for memory chips amidst tight supply that added to demand from providers of cloud-services and makers of smartphones. Shares of the company have increased by 44% in 2017, and were marginally higher following the announced of earnings late in the week. CEO Sanjay Mehrotra announced during a call with analysts that the company is expecting healthy demand in the industry into 2018, which reflects broader trends in the mobile and data center markets. Revenue from our cloud customers was over 4-times higher than the same period one year earlier the CEO said. Prices of its DRAM or dynamic random access memory chips that are used in servers as well as PCs rebounded sharply because of high demand from the rapidly expanding number of providers of cloud-services and the PC industry stabilizing. Micron, which receives approximately 60% of its overall revenue from its sale of the DRAM chip, said that price of DRAM were up 14% during its third quarter. Over the short-term it will be mobile and PC servers that will be positive for the company particularly with the iPhone 8 launch approaching said an analyst in the industry on Friday. However, she added that it will be the cloud that will be the next growth leg of the company. Shipments worldwide of PCs increased by 0.6% during the 2017 first quarter, seeing their first growth for a quarter in the past five years, said IDC a market research company. IDC added that Micron was also seeing an increase in demand for its chips in the automobile industry. Micron is expecting revenue to be between $5.70 billion and $6.10 billion while profit is expected to be between $1.73 and $1.87 a share for its fourth quarter. Wall Street analysts expected revenue to be $5.62 billion with profit ending the fourth quarter of $1.57 a share. Micron, based in Boise, Idaho, posted better than had been expected quarterly revenue and profit. Attributable net income was just over $1.65 billion equal to $1.41 per share for its third quarter that ended on June 1 compared to a $215 million net loss or 21 cents a share for the same period one year earlier. Revenue was close to double ending at $5.57 billion. Analysts were expecting revenue of $5.4 billion equal to $1.51 a share, while the actual results were $1.62 per share.